Tema en 'Ebooks & Tutoriales' comenzado por Lucretiu, 16 de Junio de 2014. 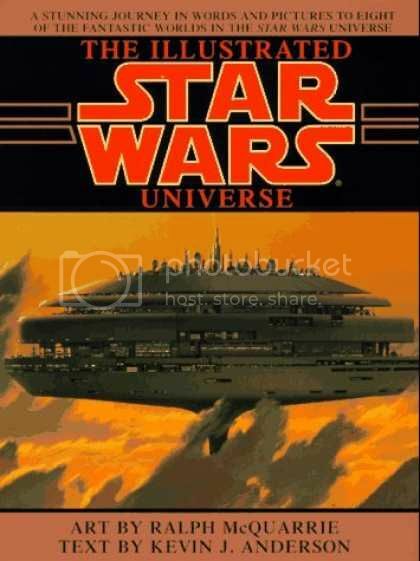 The Illustrated Star Wars Universe is primarily composed of reused and re-purposed concept art from the making of the Original Trilogy. In addition to McQuarrie's art, the book also includes the work of other concept artists, including Michael Butkus, Harrison Ellenshaw, Chris Evans, Nilo Rodis-Jamero, Joe Johnston, Michael Pangrazio and Norman Reynolds.